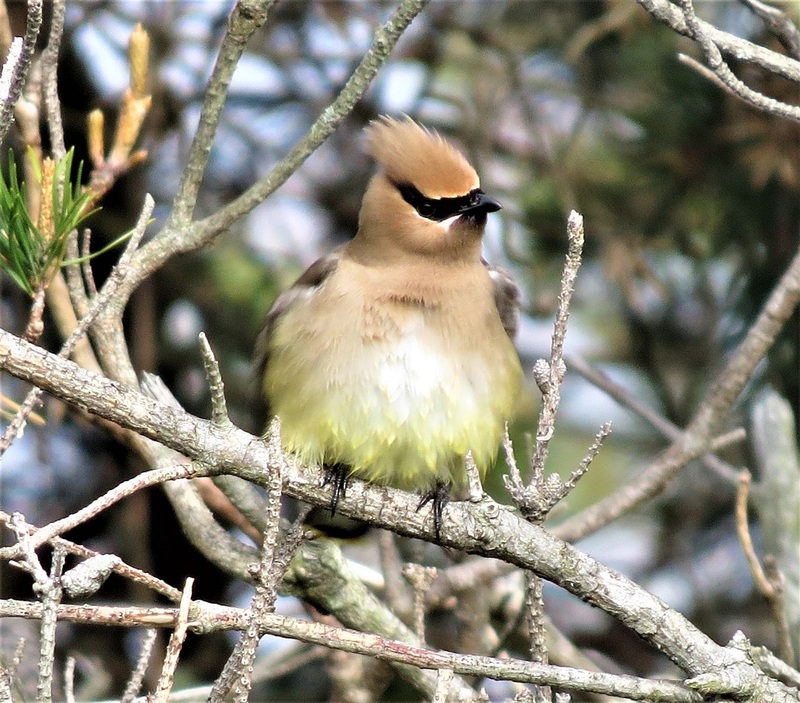 We had a very exciting spring migration of neotropical birds through our Manasota Key yard in mid-April to early May, and when it was over we definitely yearned for more. 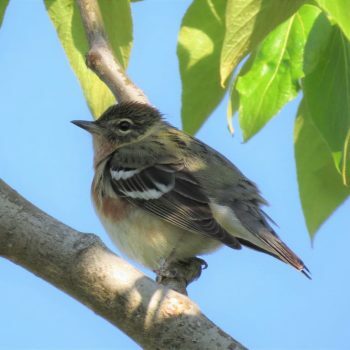 Since we were scheduled to attend a grandson’s high school graduation in Interlochen, MI, on May 27, this provided a perfect opportunity to catch the migrants at Tawas Point, MI, on the western shores of Lake Huron as they headed to breeding territories in Michigan and further north. It is interesting that many of our SW Florida human snowbirds also return to Michigan, perhaps due to the direct route of I-75. 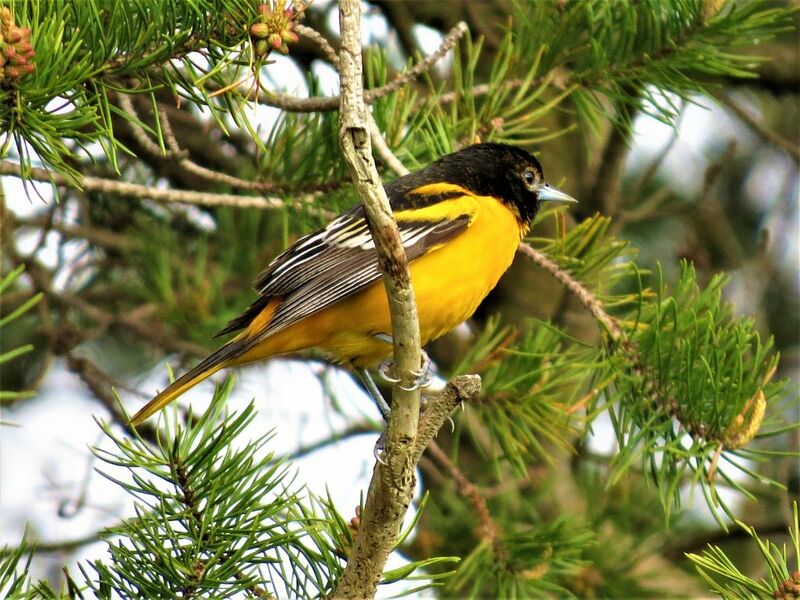 Baltimore orioles have a wide breeding range in eastern N America extending from N GA to Canada. 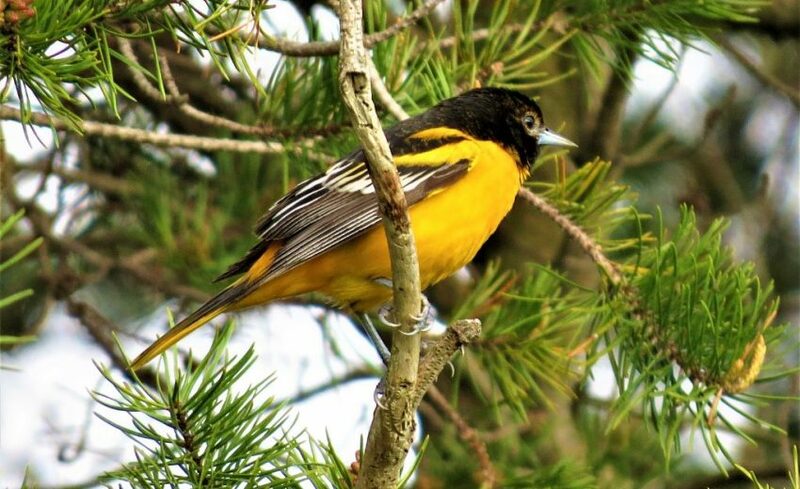 The male is a spectacular bird and sings a melodious song. 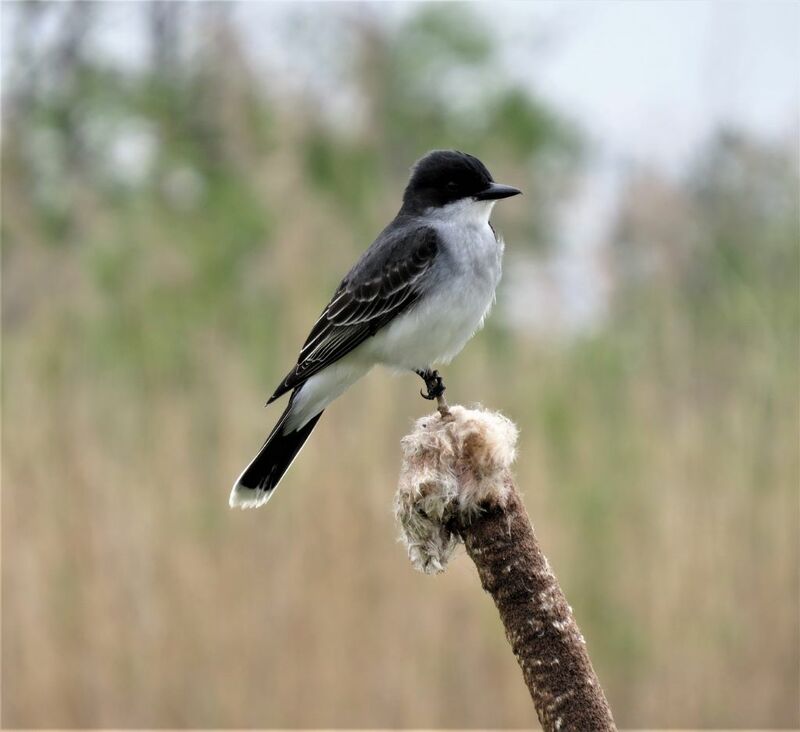 They pass through our part of Florida for only a few weeks in the spring so if you want to enjoy their songs and watch construction of the marvelous hanging nest by the female, you must go north yourself. 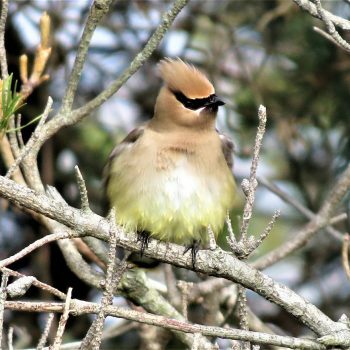 Cedar waxwings are equally beautiful in a entirely different way and may be enjoyed in Florida during the winter, but their breeding range is from N Georgia to Canada. 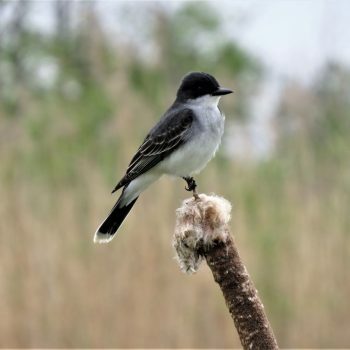 A very different bird is the eastern kingbird which is all black and white. It actually breeds from S Florida into Canada and we encountered a large number of them in Michigan. Their head color is interesting since they are a predator on insects and their dark eye is camouflaged by the black head. 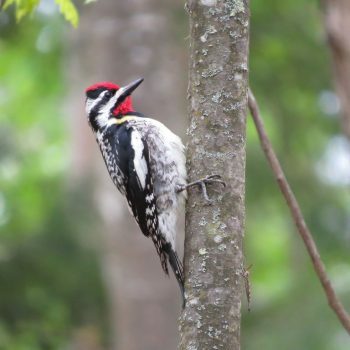 We have yellow bellied sapsuckers (the male is shown with a double red head pattern) in Florida during the winter but their nearest breeding range is in Pennsylvania. 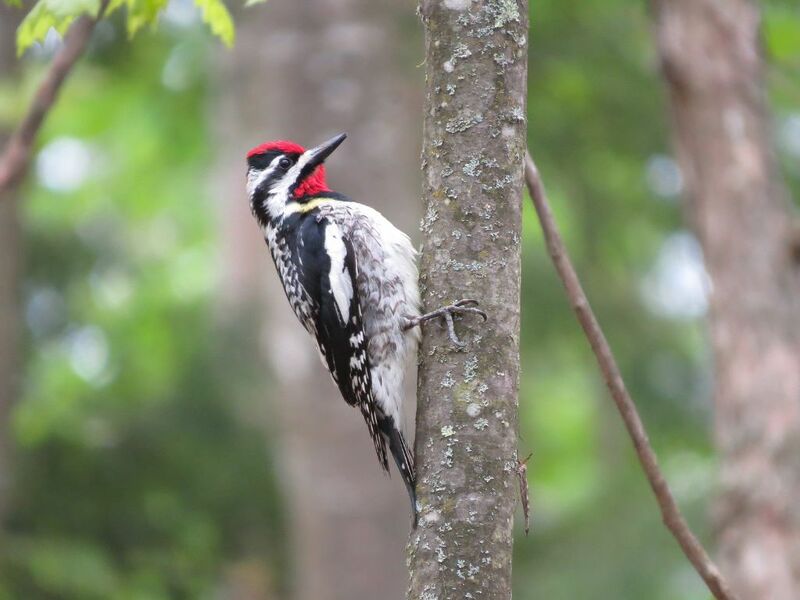 So it was a treat to see this beautiful woodpecker in its summer home range in Michigan. 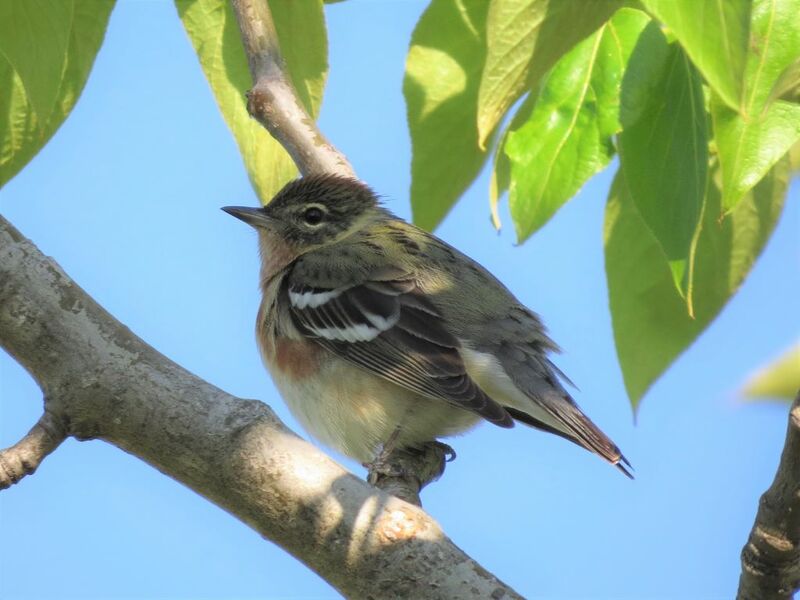 Three of the warblers we encountered in Michigan are very occasionally seen in Florida during migration. 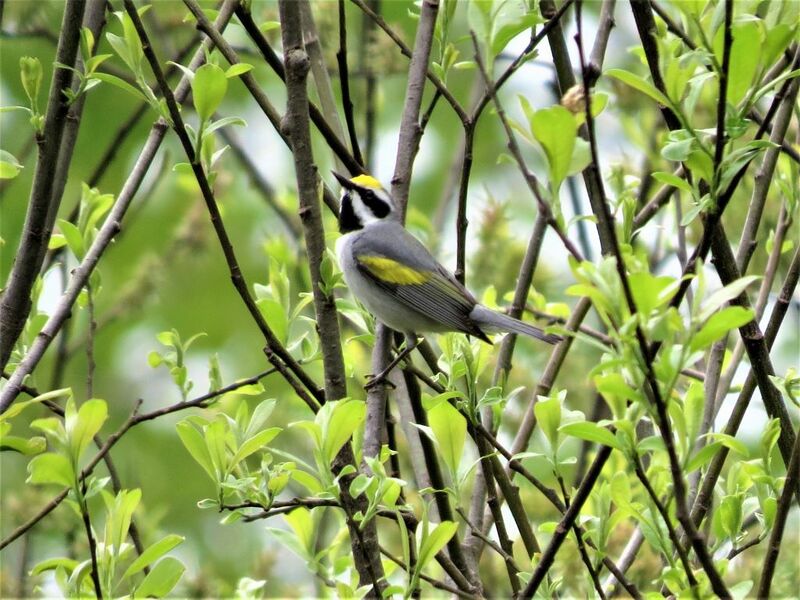 We found this male golden-winged warbler singing on its breeding territory in Michigan which was a real treat. 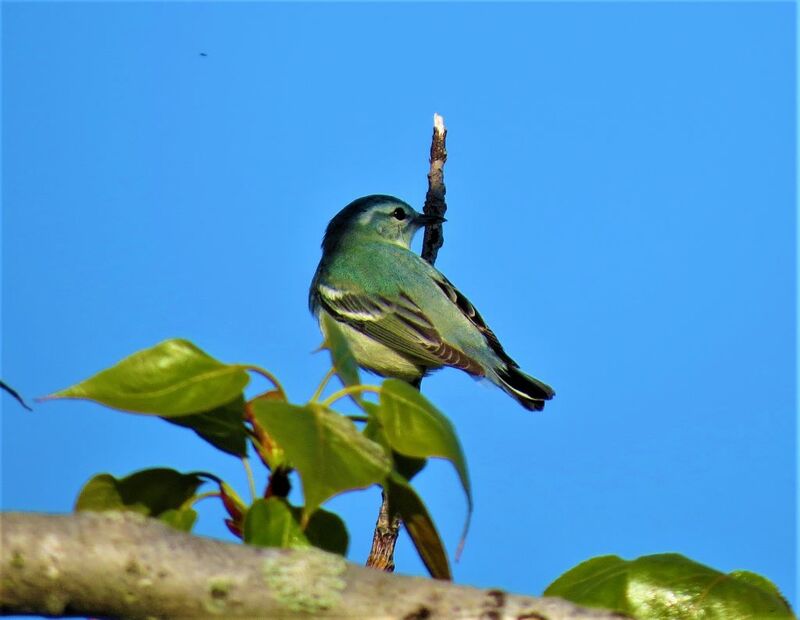 The bay-breasted female shown here was still migrating northward to a nesting site, likely in Canada. The cerulean female was also in migration and was actually close to the northern extent of her breeding range. 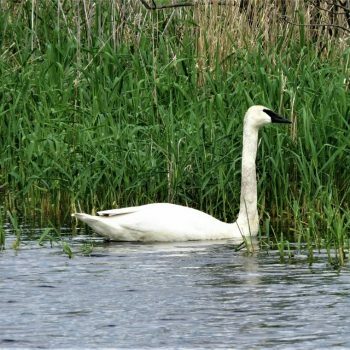 An exciting find in a northern Michigan marsh was a group of nine trumpeter swans, which are recovering from near extinction. 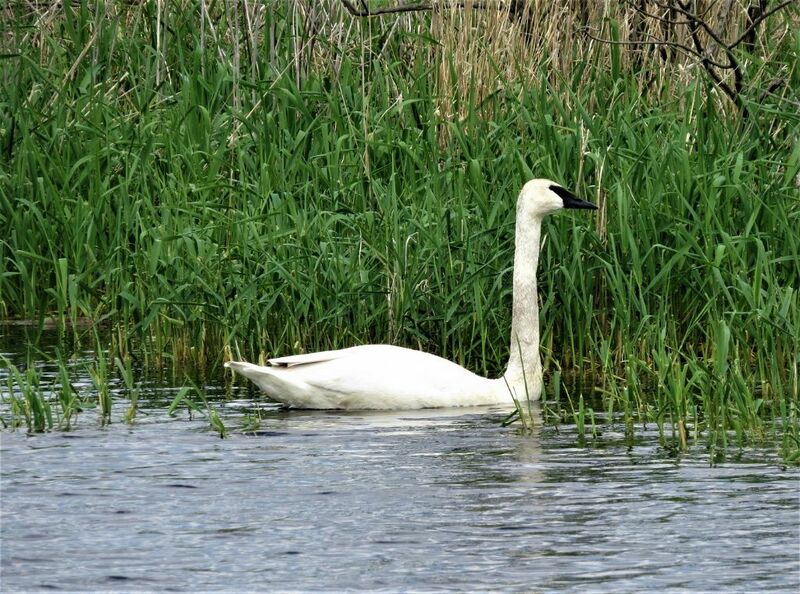 The similarity in appearance to the destructive exotic mute swan and the much more abundant native tundra swan (which is occasionally seen in Florida) has caused difficulties in its recovery. 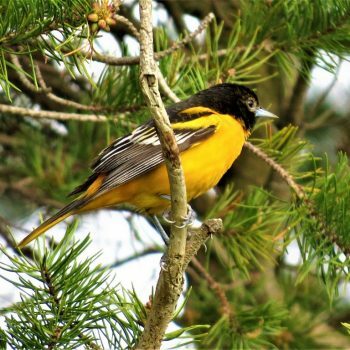 These birds are likely breeding in Michigan. 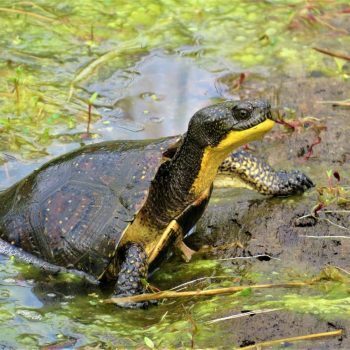 While walking through a marsh near the Au Sable River a bit north of Tawas Point, MI, listening to singing sedge wrens (which in small numbers winter in SW Florida), I was amazed to see a spectacular Blanding’s turtle. 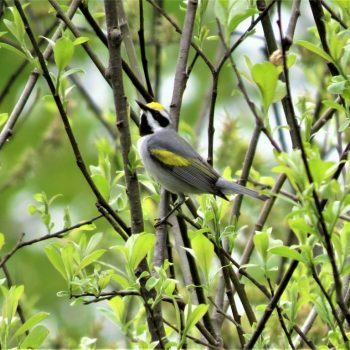 It is rare except in some mid-western and Great Lakes states and endangered in some. 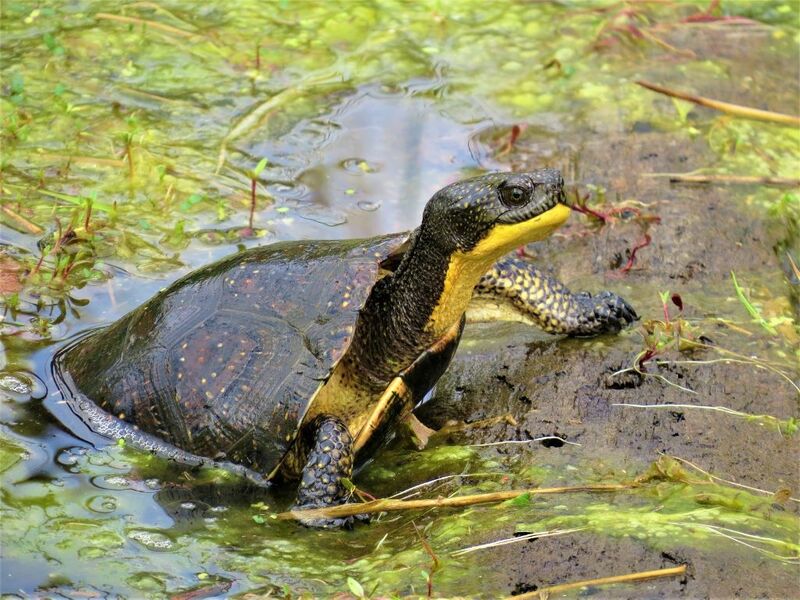 Its extraordinary coloration and gentle disposition are so different from the cooters, snappers and softshell turtles we are so familiar with in Florida. Those who cherish the spring flush of flowers and birds would do well to pack their bags and plan a trip in May to follow the progression of spring northwards. 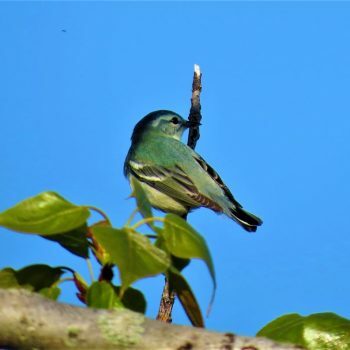 It is a fabulous experience and one which allows you to extend the fantastic sights of our Florida spring and also enjoy the remarkable bird songs which are rarely heard in Florida.